Where are all the young people? The Millenial Generation is conspicuously absent from the aging Messianic Jewish movement and from Messianic assemblies. Where are all the young people? It’s a question that my colleagues and I at First Fruits of Zion often ask one another as we travel around and speak at different conferences and venues. I’ve been teaching with First Fruits of Zion for over ten years now and it seems like, with each passing year, our main core constituency gets older every year. Obviously, on one level, this makes sense. People who have been with us over the years are getting older just like me. Yet, at the same time, why are we unable to attract a new generation of younger people to our teachings? As we have discussed this dynamic with other teachers and leaders, we have come to realize that this a really big problem, not just for us but also for Messianic Judaism in general. In light of that it was exciting for me and my colleague Daniel (D. Thomas Lancaster) to get the opportunity last month to teach at two colleges in the Dallas Metro Area. 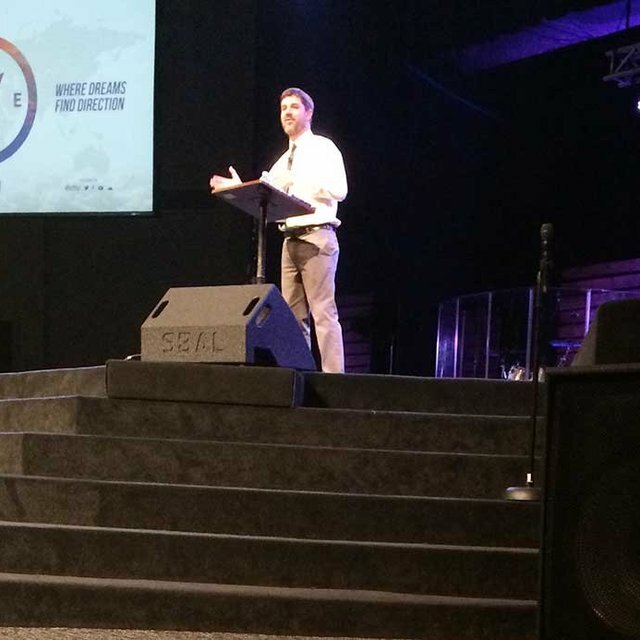 We spent about a week in Dallas teaching at several seminars, but to us, the highlights were speaking at Christ for the Nations and The King’s University. Both were important opportunities to reach out to the next generation of disciples of Yeshua and perhaps get a pulse on what we can do to make more inroads into their world. We brought along both of our teenage daughters to help us survey the situation. It helped to see the events through their eyes. First up was teaching the New Testament Survey course at Christ for the Nations (CFNI). We were slated to speak at both the Monday morning class and the Wednesday morning one as well. I am actually a graduate from CFNI, and so the whole experience was a sort of homecoming. I was excited to actually teach in a place which had such a major impact in my spiritual growth and the calling I felt to enter full time ministry. Our connection to speak at CFNI came through Philip Lanning who is the Academic Dean at CFNI and an FFOZ Friend. The time we spent with Philip was worth the trip alone. Not only did he take the time to have lunch with us and discuss further collaboration between First Fruits and CFNI in the future, but he gave us a tour of the campus. The exciting thing about CFNI is that kids come from across American and from countries all over the world. 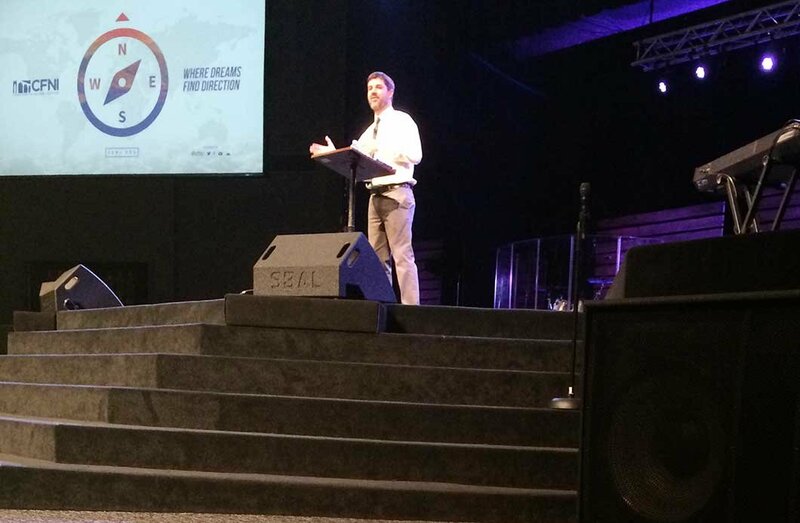 A teaching presented at CFNI can have a global impact, even if in a very small way. Daniel and I chose to present our two-part seminar The Bread of Tomorrow which focuses on coming the Messianic Era and how we can experience a foretaste of that today. The teachings took place in the main auditorium before a class of over four hundred students. We broke the material down and made it as simple as we could, removing a lot of the Messianic terminology and jargon. The teachings were well received and we were even permitted to have a resource table where we gave out free books and connected with students. We managed to wipe out the inventory of resources we brought. It probably helped that our daughters were the ones running the table, but we might have been able to connect with even more kids if we would have had free donuts. Next time we will definitely have to bring donuts. On Tuesday we headed out to The King’s University in Southlake, Texas. Just last fall, a respected friend of First Fruits of Zion and scholar of the Messianic Jewish Movement, Dr. David Rudolph, launched a Jewish Studies program within The King’s University. Dr. Rudolph invited Daniel and I to teach a few of the classes in the program for the day. I taught a session from their class “Our Father Abraham” which covers Marvin Wilson’s book by the same name. I taught on the subject of a life of learning and the importance of the daily study of God’s word. It was fun to be in a classroom environment and teach with students asking questions and dialoging right along. Before lunch we sat down with Dr. Rudolph and discussed everything from his Jewish Studies program at King’s to how First Fruits of Zion might be able to work with King’s College to realize our vision for establishing a gap year learning program. In the afternoon Daniel taught a class on Jewish tradition and authority and how it relates to Messianic Jewish practice and theology. I admit I was glad he was teaching this class. It’s never an easy task to tackle a difficult subject like that, but Daniel handled it with grace and clarity, allowing room for other opinions, while firmly backing up his own with logic and scriptural proofs. As I reflected on these experiences I realized something important. Young people are hungry to learn and to know more about the Jewishness of Yeshua. Everywhere we taught the students were engaged and excited to be learning. It seems to me that one of the most important things we can do is to actually hold events and seminars focusing specifically on a younger audience. That’s why this year at our national conference in Hudson, Wisconsin we have selected the theme “New Wineskins: Tell it to the Next Generation.” We will be talking about how to effectively transmit Messianic Jewish teaching to the next generation. We have some exciting surprises to unveil in that regard. In addition, this year’s conference will feature a second teaching track for young adults between the ages of 15-20. The young adult track will present an in-depth crash course study on the parables of Yeshua. It is our prayer that this will be the first of many such conferences and events tailored specifically toward younger students, and we hope that we can, with God’s help, energize young people for this important work of the kingdom. If you have not done so already, please consider attending this year’s conference. To learn more about the conference click here. Together we can pass this on to the next generation.